Are You Brain-Locked with Modern Reception-Area Design? Modern reception-area design can be extremely challenging. Picking out flooring, wall color, seating, and tables is something that can rattle non-professionals. On top of color choices, there is size, traffic flow, and user function. 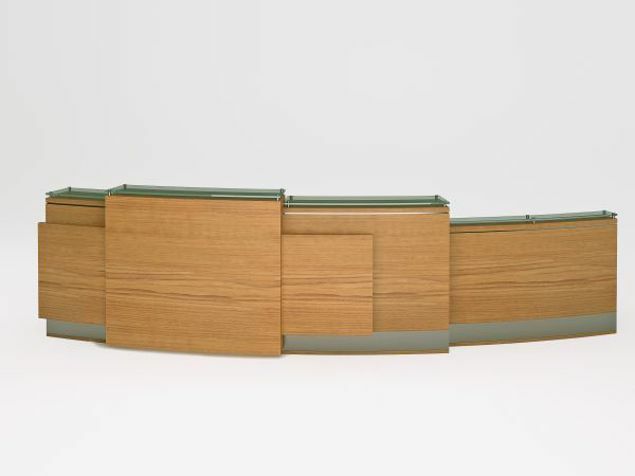 And selecting the main attraction—the modern reception desk—is enough to make you want to leave and never come back. Regardless of the challenges, the presentation you make for your company is something everyone will notice as soon as they walk into your workplace. We spend a lot of time brainstorming the way you show up for your visitors…so you don’t have to. The idea is to help unlock your creative thinking so visitors will hear your voice before you speak. We at 90 Degree Office Concepts believe that a creative environment inspires enhanced innovation. With this in mind, we offer a wide array of choices: a plethora of materials and colors, plus professional guidance to make your selection process easier and faster. 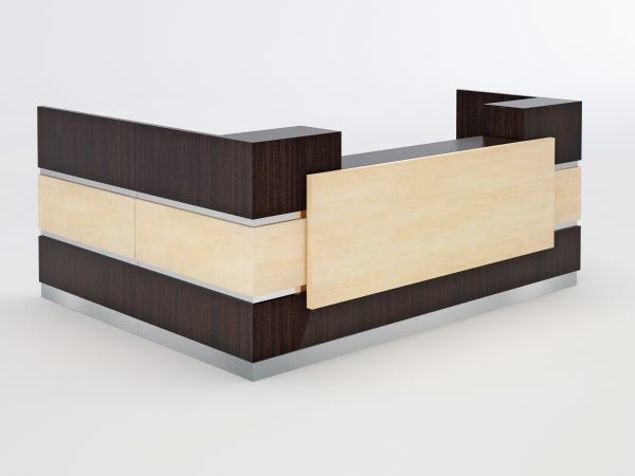 The Bergamo Modern Reception Desk embodies design potential that allows you to join colors and materials together to match your company’s flair for expression. 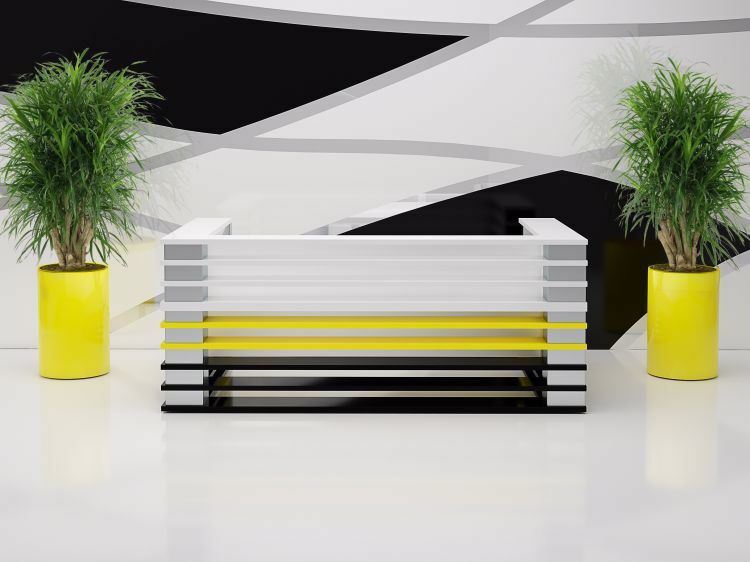 Use your reception desk to be as expressive and colorful as you wish, or make selections for a more conservative approach. Choose from an array of bold or conventional colors plus horizontal panels. 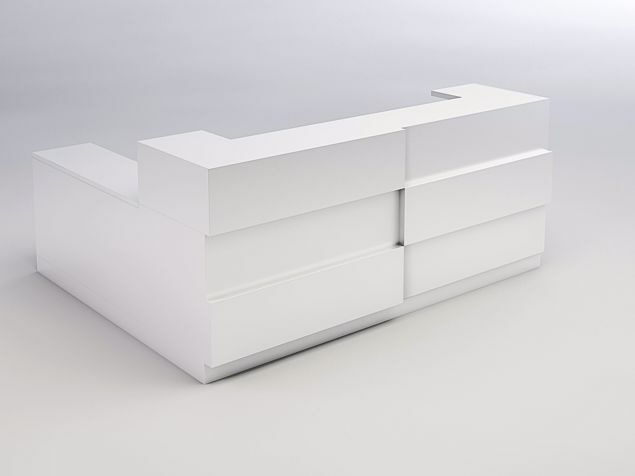 Choose from an entry-level desk at 32" D x 72" W x 42" H, or let us know the size best-suited to your space. This Bergamo Modern Reception Desk shown here (32" D x 96" W) is done with brushed aluminum posts and a three-color horizontal panel combination. The interior is faced with a ¼" frosted acrylic glass modesty desktop block-out. Priced at $4,941.